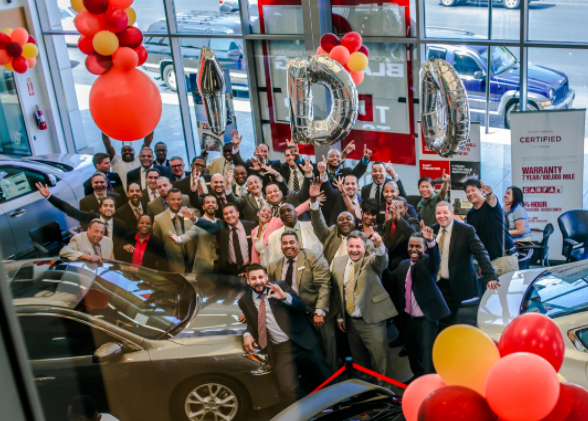 We’re looking for friendly, respectful, and professional team members to provide our customers with the best car-buying experience available. As a part of our team, you'll need to create "WOW" moments with every customer you encounter and then share those moments with the rest of our team! You must be able to own every situation you come in contact with and solve our customers' problems quickly. In the same way you take care of customers, you'll also be expected to treat your fellow employees with the utmost respect, courtesy, and helpfulness. Our team enjoys training programs, a fantastic culture, and opportunities for advancement, which are company-wide focuses to help you grow both personally and professionally. We're interested in helping your career and adding to your resume because we know that happy employees lead to happier customers! Please take a look at our open positions on the Careers page and apply today!